Upon arrival, each guest receives a BaselCard, which permits use of public transportation in the city, alongside additional benefits in Basel. A personal access code, allows guests to log into various WiFi hotspots in the city. 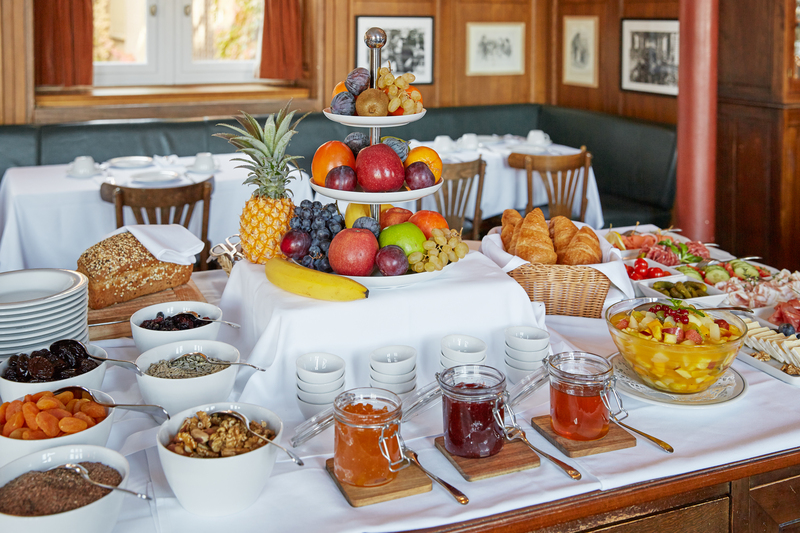 Breakfast is served in the Brasserie, with its peeking views over the rooftops of the old town; and for earlier raisers, the sunrise view. Small breakfast - coffee, orange juice, croissant - CHF 10. In some rooms, a baby cot or extra bed (for children up to 12 years old) is available on request at a surcharge. Our hotel has free Wi-Fi form Monzoon. Our hotel guests benefit from a discount on admission to the adjacent Jazz Club "The Bird's eye"